David Mitchell is an eloquent conjurer of interconnected tales, a genre-bending daredevil, and a master prose stylist. His hypnotic new novel, The Bone Clocks, crackles with invention and wit-it is fiction at its most spellbinding and memorable. Following a scalding row with her mother, fifteen-year-old Holly Sykes slams the door on her old life. But Holly is no typical teenage runaway: A sensitive child once contacted by voices she knew only as "the radio people," Holly is a lightning rod for psychic phenomena. Now, as she wanders deeper into the English countryside, visions and coincidences reorder her reality until they assume the aura of a nightmare brought to life. For Holly has caught the attention of a cabal of dangerous mystics-and their enemies. But her lost weekend is merely the prelude to a shocking disappearance that leaves her family irrevocably scarred. This unsolved mystery will echo through every decade of Holly's life, affecting all the people Holly loves-even the ones who are not yet born. A Cambridge scholarship boy grooming himself for wealth and influence, a conflicted father who feels alive only while reporting from occupied Iraq, a middle-aged writer mourning his exile from the bestseller list-all have a part to play in this surreal, invisible war on the margins of our world. From the medieval Swiss Alps to the nineteenth-century Australian bush, from a hotel in Shanghai to a Manhattan townhouse in the near future, their stories come together in moments of everyday grace and extraordinary wonder. 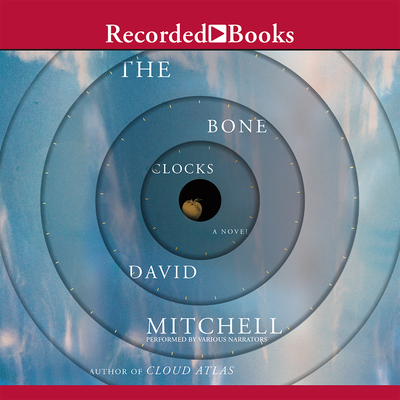 Rich with character and realms of possibility, The Bone Clocks is a kaleidoscopic novel that begs to be taken apart and put back together. From the Hardcover edition.